After a lovely evening at Alo, we set off a little more promptly this morning just after 9am as we had around 38 miles to do. 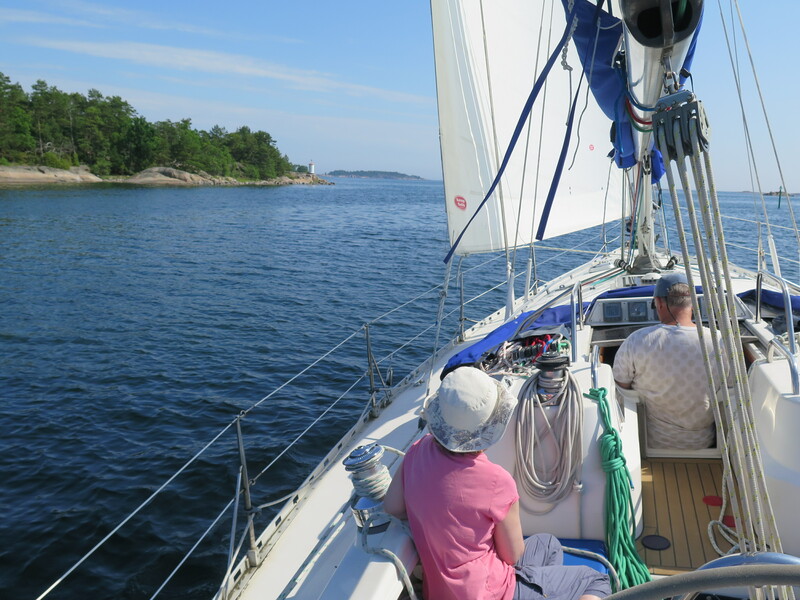 As soon as we were out of the Alo entrance channel, the jib came out and we managed to sail, albeit quite slowly at times, right through to shortly after lunch. The wind then died quite a bit and with 18 miles still to do, we decided to motor the rest of the way. 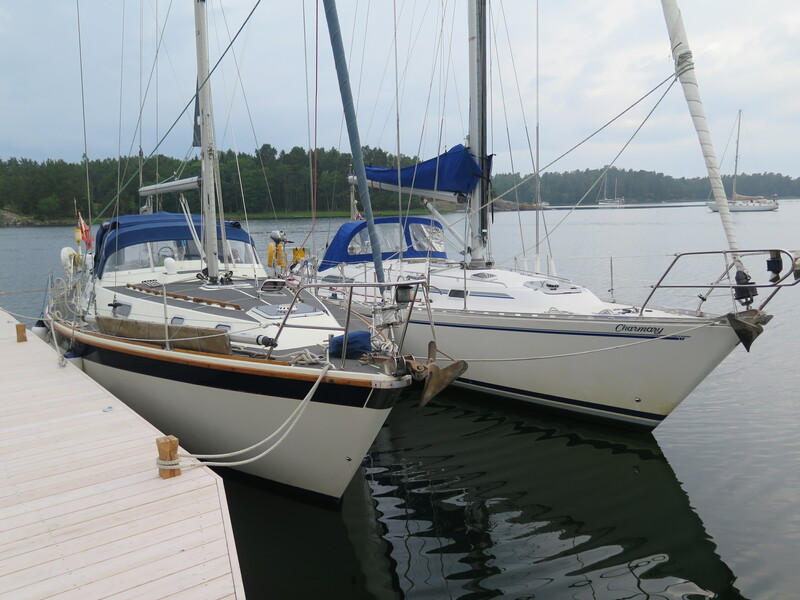 The plan had been to anchor in Boko Hamnvik, but the guest harbour was empty as we came in, so we rafted up to Airborne. 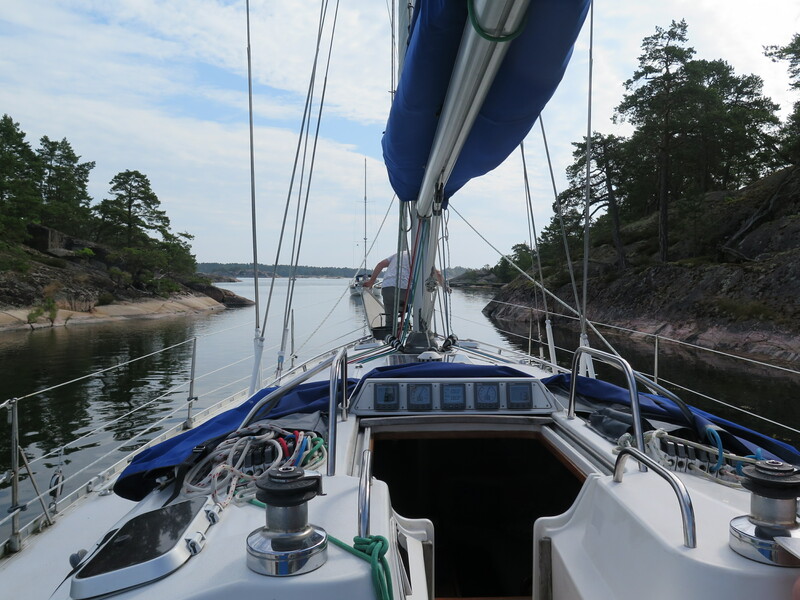 The pilot book describes Boko as a large guest harbour, but there was no-one else there and we had to raft up! There are toilets at Boko, but they are of the variety the Australians call a ‘drop dunny’. There was also a small information hut and, once again, some lovely walking.